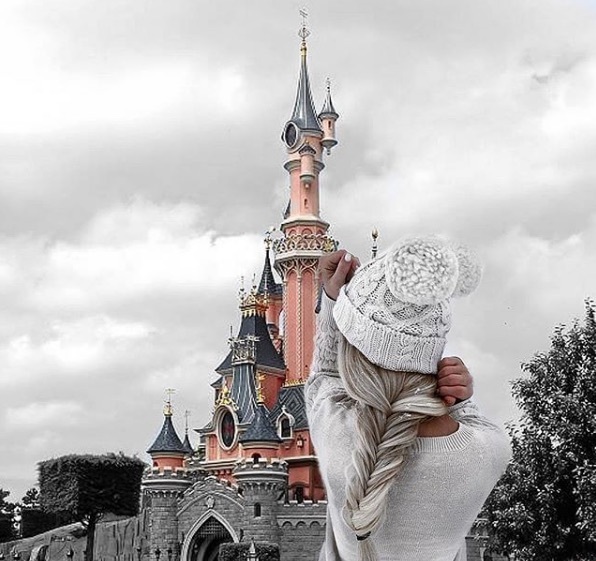 It doesn’t seem possible that the Happiest Place on Earth could get any happier, but this holiday season, things are looking better than ever. Buckle your seat belt for a ride through the culinary creations of Walt Disney World Resort’s all-star pastry teams that will have your jaw on the ground, and your belly begging for more. Once you’ve seen these magical displays with your own eyes, you’re sure to look at food in an entirely new way — not just as fuel and something to enjoy, but truly as an art. During your Walt Disney World travels this holiday season, be sure you stop by the following resorts to see the wonders that have been brought to life. You won’t be surprised to find out that it took thousands of gingerbread blocks, rolled fondant, and modeling chocolate to create this 18-foot tall recreation of the famous Cinderella Castle. Set on a backdrop of “it’s a small world,” Cinderella and Prince Charming himself are represented in this display as oversized gingerbread cookies. 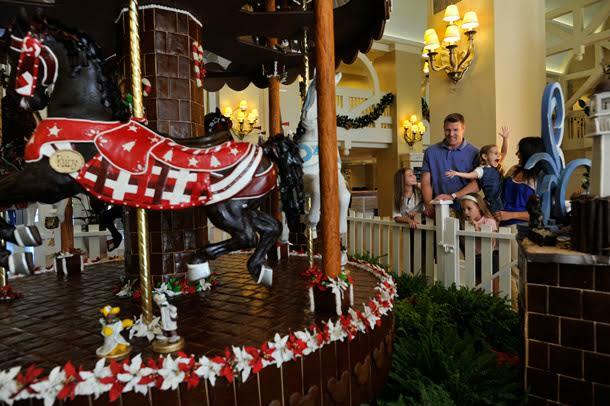 Using an old-fashioned gingerbread recipe all the way from Austria, the pastry team at the Grand Floridian has constructed a life-sized gingerbread house using over 10,000 pieces of gingerbread. 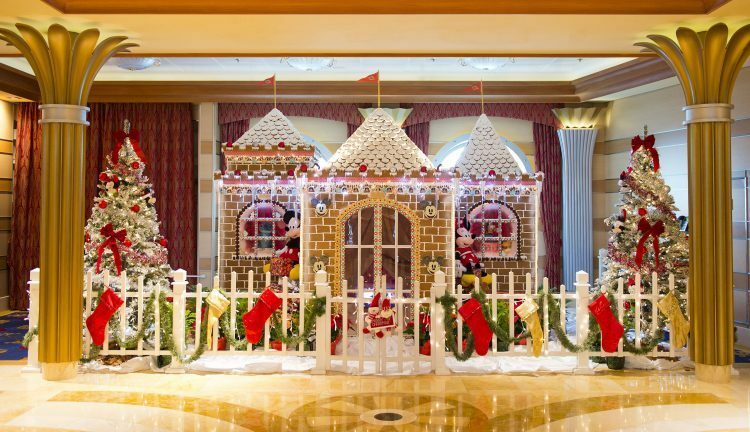 You won’t miss this display in the hotel’s lobby, and be sure to stop by for one of the gingerbread house decorating demos happening daily in front of this piece of art. Walt Disney World’s recreation of this U.S. icon is joined this year by the addition of the Lincoln Memorial. Even better, this piece of art has within it 6 hidden Mickeys to add to your list. For the 18th year, Disney has created a life-sized and edible carousel that truly spins! The theme of this year’s carousel is Lilo & Stitch, which you’ll be able to see in the carousel horses and the hand-painted holiday characters with their gingerbread snowman and snowflake buddies. In honor of the 18th year of the carousel, the magical pastry chefs have placed in this display 18 hidden Mickeys! Standing a whopping 6-feet tall, this gingerbread creation is loomed over by “Tim Burton’s The Nightmare Before Christmas”‘s Oogie Boogie. Gone for 13 years, Oogie Boogie is back, and loving it. Not to mention the more than 200 hours it took to create this piece of inspirational art. 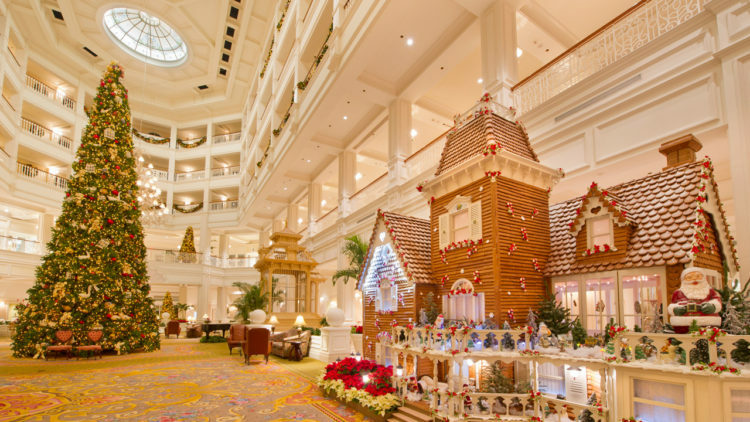 Disney gingerbread houses love being on the sea as well, as evidenced by Disney Dream’s enormous gingerbread house. This house was created by the hands of the crew and decorated in everyone’s favorite Disney-themed decor. Make your trip to Disney this holiday season even more magical by checking out these incredible displays of culinary wonder. 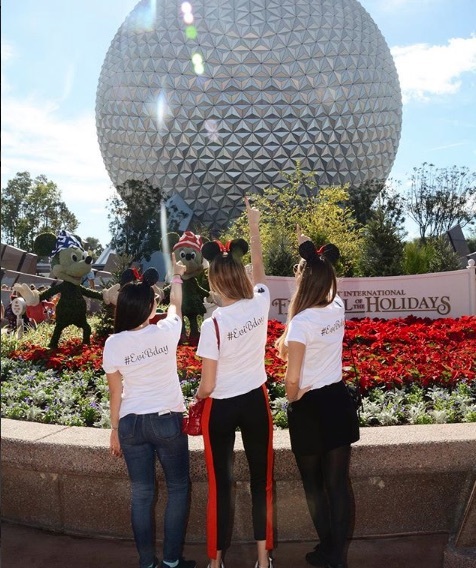 To book your Walt Disney World experience of a lifetime, visit here.